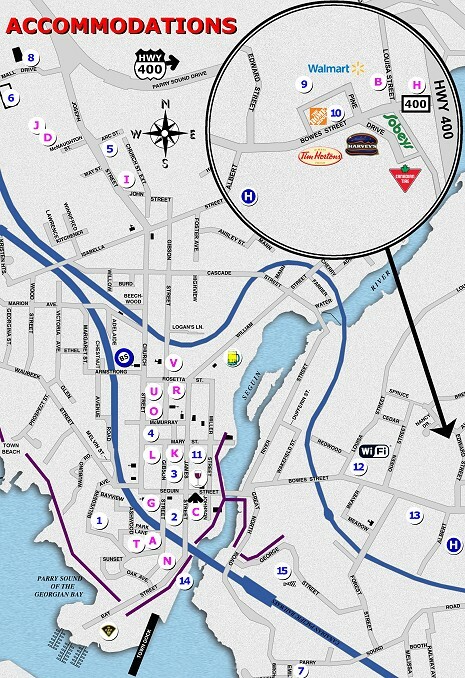 ACCOMMODATIONS A-Z GUIDE for the TOWN of PARRY SOUND Use this Map to Discover Parry Sound! Find marked ( ) Accommodations on Map. Numbers on Map denote Sponsors not listed below.